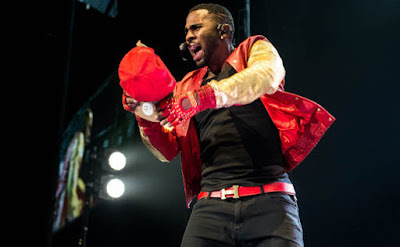 SnapCacklePop: SnapCacklePop at Jason DeRulo and more..! SnapCacklePop at Jason DeRulo and more..! 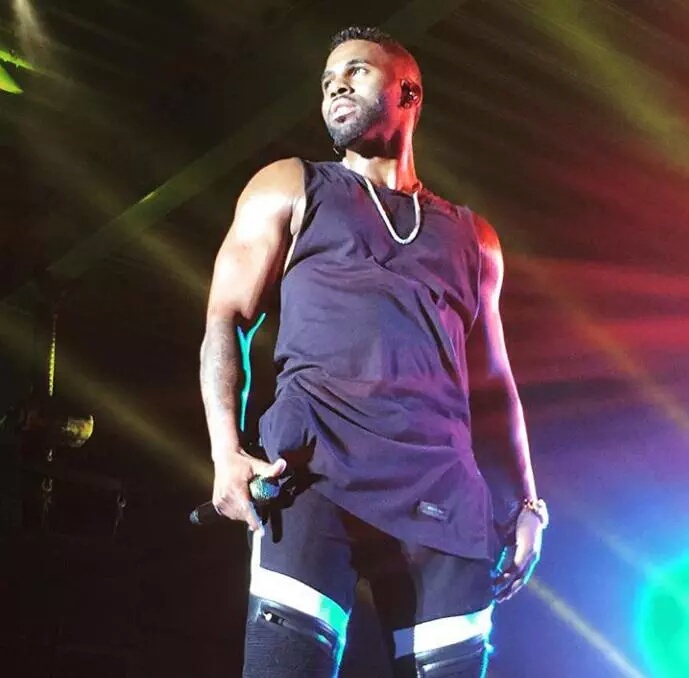 When news came through that we were off to see Jason DeRulo in concert we were pretty excited! Jason has always had solid chart hits and for quite some time too. He tends to stay out of the spotlight concentrating on recording and touring and seems to do a damn fine job of it. I knew he had some support acts in his tour but it wasn't till I got to the stadium that I realised how many he had!! Some of them I was very keen to see, others not so much! Find out what we thought here..! Pia Mia was up and first i can honestly say I was surprised. After her debut single Do it again, I wasn't sure if she'd have any longevity but she proved herself to be a very talented singer. her vocals were perfect and she really knows how to work a crowd. She performed her new single Touch and really had the crowd going. From the small island of Guam, she announced that it was a dream to come to Australia and we could tell it was genuine. She loved the stage and the crowd loved her. Pia Mia is definitely one to watch! Austin Mahone was up next and after I found out who the support acts were I think I was more excited about seeing him than anyone else. 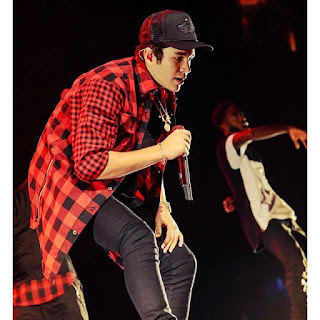 This talented 19 year old has had some pretty awesome songs of late including this years Dirty Work & last years MMM Yeah with Pitbull. Austin performed these hits and more to the delight of thousands of screaming fans. This kid has a great voice and some pretty cool moves as well. He also performed a cover of Ed Sheerans Thinking Out Loud with just his guitar and was brilliant - watch the video we took from the stands below!. Songwriting talent, musical abilities and great vocals - this kids got it all and deserves massive success in the future. See ya Bieber, hello Mahone!! Not on the list of pre show acts, surprisingly we had Tim Omaji up next for a short set. 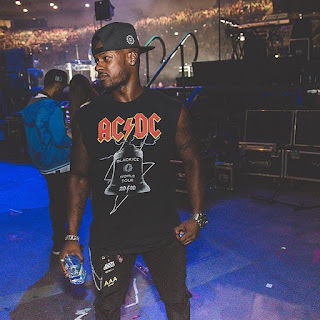 Previously known as Timomatic, he first performed his new single Go To Work before moving into his previous hit singles like Can You Feel It and Set It off. His signature dance moves that made him famous were a big part of his act and rightly so - he definitely still has it! Whilst not as vocally strong as Austin Mahone, Tim had personality in spades and had his home crowd screaming for him! What was the most surprising is after hit song after hit song performed, I realised how strong a back catalog of hit songs he actually has. Go Tim Omaji! T.I. 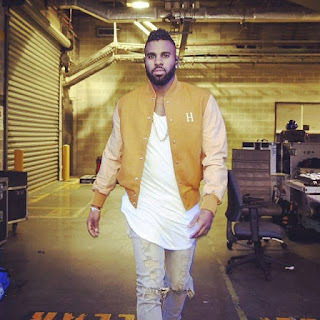 was the last act to go on before the main act Jason DeRulo and not being a rap fan I was not looking forward to it. Professional curiosity won out though so I stayed to watch and... I'm still not a rap fan. The crowd seemed to love the performance but either I'm too old or far too pop inclined but I just could not get into it. 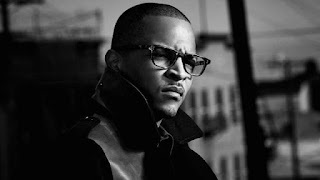 Sorry T.I. fans, but this pop boy just can't do it! Now it was time for Jason DeRulo. His start time was 9:20 and it was that time on the dot... yet we still had the terrible DJ who was not playing music the crowd wanted to hear and kept cutting the music so the crowd would sing along. But cut at random and weird intervals, with no warning, no one sang. The 'is everybody having a good time' girl tried to announce the DJ off stage a couple of times but he kept playing. It wasn't till a couple of burly roadies came up to him that he left his awful set. It was now 9:30 and we were ready for Jason but instead we got another DJ. This one was better and got the crowd revved up well, but it didn't look like Jason was anywhere near ready to hit the stage. What was plainly obvious was intermittent flashes and fuzziness from the massive displays behind the stage. After 30 or so minutes of this we were all pretty sure there were some technical glitches that were holding up the performance. As soon as we saw an image that made sense - clouds - we knew the show was about to start. And it did. At about 10pm Jason emerged among much fanfare and screams singing his hit In My Head but it wasn't long before I was looking at my partner with mystified eyes. This was not the Jason DeRulo I expected. Pitchy and seemingly lost, his performance on the first track was more worthy of an X-Factor contestant than a global music superstar. As the first song concluded a big fight broke out in front of the stage and it seemed all eyes weren't on Jason anymore. Jason disappeared shortly after and came out saying hello to the crowd and acknowledged that this was no place for fighting. My gut feeling was that the unconfirmed technical glitches and ruckus in the crowd rattled him and this was confirmed with the next song, that was more true to the Jason DeRulo we know and love. The next few songs were shortened versions of his big hits mashed together and with each song his vocals improved more and more. It wasn't too long before he was showing us the superstar he was and he told us of his real affection for Australia. This show, he announced, was the biggest selling show he'd ever had and the crowd loved him for it. He performed his biggest hits like Cheyenne, Trumpets, Watcha Say, Breathing and Try Me among others. Talk Dirty went OFF and he also introduced us to his pretty cool new single Get Ugly. By this time he was really in his element and having a great time showing off his signature dance moves paired with his great vocals. We were all digging it and having a great time listening to great music and watching this now shirtless (and ripped) superstar. We'd all forgotten about the earlier fracas and glitches and were ready to paaaaar-tay... when it all ended. Jason was only on stage for a bit over an hour, and while the hour was good, the disappointment in some members of the audience was evident. Recently we saw Roxette live and despite singer Marie having an obvious disability (she had a brain injury after a fall a few years earlier and needed to be helped on and off the stage), Roxette did a full concert - around 2 hours, and the crowd loved it. I couldn't help comparing the two concerts, 1 hour for a young, fit, muscly man, 2 hours for a 55 year old disabled woman? Yeah Jason was a lot more active on stage but I could not help feeling a bit ripped off for the crowd who all loved him. So the show was over with Want To Want Me then some more dancing and I really was left wanting more. He's obviously a very talented musician and dancer and I don't know if it was him, the event organiser or record company who organised all the timings but an hour long show preceded with some good acts (that you really did not come to see) didn't seem to give the crowd what they wanted. Most concerts we've been to at SCP have one or two support acts for 15-30 minutes, followed by two hours of the main act. Hopefully next time Jason performs in this country he claims to love so much, he'll give us that..!